Not having a website these days is no longer an option. Today’s customers spend more time than ever online, and your website is there to help transition them from mere website visitors into paying customers. Your website is undebatably a vital key to your business success. Customers turn to your website for information and, depending on whether you give them with what they’re looking for and answer their questions, your website can either attract and engage your customers — or encourage them to look elsewhere. Getting your website right isn’t as easy as it seems. There are a myriad of factors and bases to cover when it comes to designing a customer-focused website that does what it’s supposed to. Done right, your website has the potential to become your hardest-working employee. So, what are some common mistakes that restaurants make on their websites, and what can you do to fix them? Take a look below. This might be the mistake we see the most: contact details — opening times and addresses — hidden away at the bottom of the website, on separate pages, in tiny, illegible font, or even worse, as an image. Your customers are going on your website in search of a particular piece of information, and if you can’t give them what they’re looking for off the bat, they’ll most likely give up and look elsewhere. The fix is simple. Put your most essential information in easy-to-read text in a prominent position on your website, preferably at the top, so that your customers don’t have to scroll to find it. There’s no shame in repeating this information, as you’ll want to keep in mind customers who might be coming onto your site on a page other than your homepage. Having a clear purpose for your website might seem obvious but is often disregarded. Simply put, your website is there for your customers. Your website is often the first point of contact potential customers have with your restaurant, so make sure it answers the questions they might be asking. You might want to talk at length about your restaurant’s history, location, or outstanding service, but your customers are only really interested in one thing: useful information. Whether it is the information listed above, or valuable content from your blog, your website has to deliver. Sit down and make a plan for your website. It’s helpful to ask questions from a customer’s point of view. Figure out what they might be looking for and if those things are easy to find on your site. Make adjustments accordingly. You may show off your menu and, in great detail, explain how superior your customer service is — but you would say that, wouldn’t you? This is exactly what your customers will be thinking, and they most definitely won’t take your word for it. There’s a reason why review sites such as Yelp, Tripadvisor, Zomato (formerly Urbanspoon), and Zagat keep growing in popularity. Customers trust the opinion of their peers, and as with selling anything online (which is what you’re doing with your website), building trust and having the proof to back your claims up is imperative. All of these sites, as well as Google My Business, allow you to embed reviews onto your website by simply copying and pasting a short piece of code. This should ideally be accompanied by a call to action, such as a link to book a table. This is a big one. If you’re paying attention to your website visitor statistics, you’ll most likely find that a huge chunk of your traffic is coming from mobile devices. It’s not uncommon nowadays to see as much as 40 percent of a restaurant website’s total traffic is coming either from smartphones or tablets. It’s 2016, so I shouldn’t have to tell you that having a flash website is totally unacceptable. (They don’t work on phones!) But just having a non-flash website isn’t enough if your website’s design isn’t adaptable to smaller screens (also called “responsive design”). This mistake can put you at risk of missing out on a large amount of potential customers visiting your site on-the-go. Now, the fix here might not be as quick and easy as the others, and might require getting a developer to do the work necessary to get your website functioning properly on mobile devices. Another option worth exploring is one of the many DIY website builders out there, but whatever you decide on, it’s definitely worth the investment. 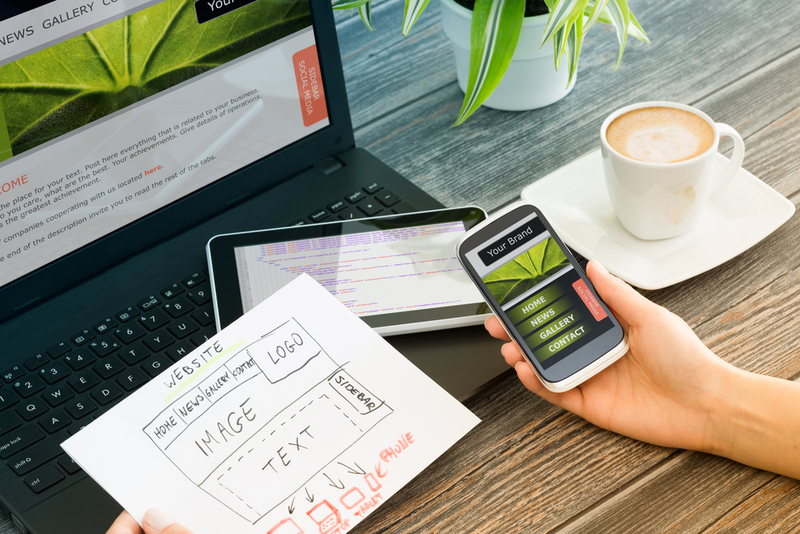 There’s obviously a lot more to creating a great restaurant website, such as branding, great images, social links, easy-to-use booking forms, and much more, but avoiding these common mistakes will put you miles ahead of the competition. Paying your website the attention it deserves will turn it into an extremely profitable part of your business.